You and your pooch have your sights set on sunny California, but there is one thing standing in your way – selling your home. Wouldn’t it be nice if there were something to make it easier? Perhaps you could go ahead and hire professional movers or start packing. Hireahelper.com can help you find the best movers for the job and Buzzfeed.com offers tips on packing. 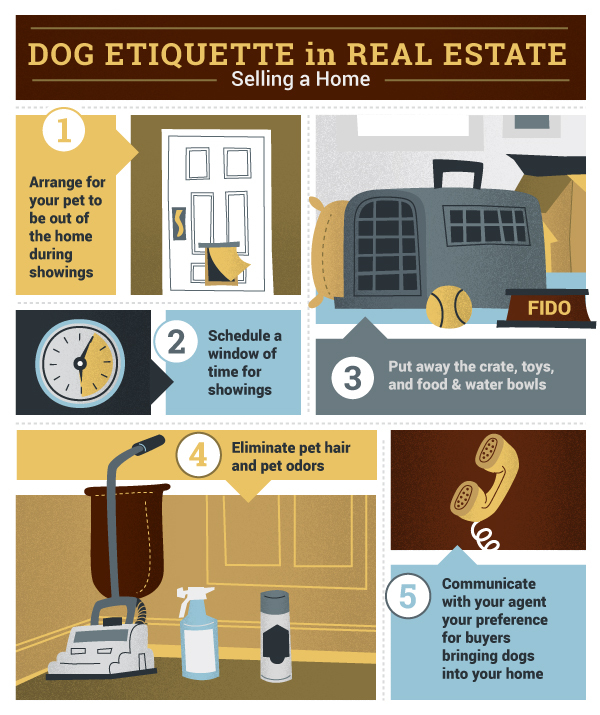 The tips and resources in this infographic will make sure your four-legged housemate is taken care of so you can focus on selling your home and starting your new journey. Besides, there will be plenty of time for fun in the sun when you get to California, such as Sherwood Dog Park where the two of you can have some off-leash fun in the park or go hiking on the Fiscalini Ranch Preserve. If the sand and surf are more your speed, Fido will certainly enjoy frolicking in the waves on Cayucos Beach. Once Fido is taken care, you can focus on the task at hand – getting through all those house showings so you can arrive, tails wagging, in California. Just remember, patience is a virtue.